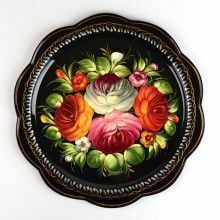 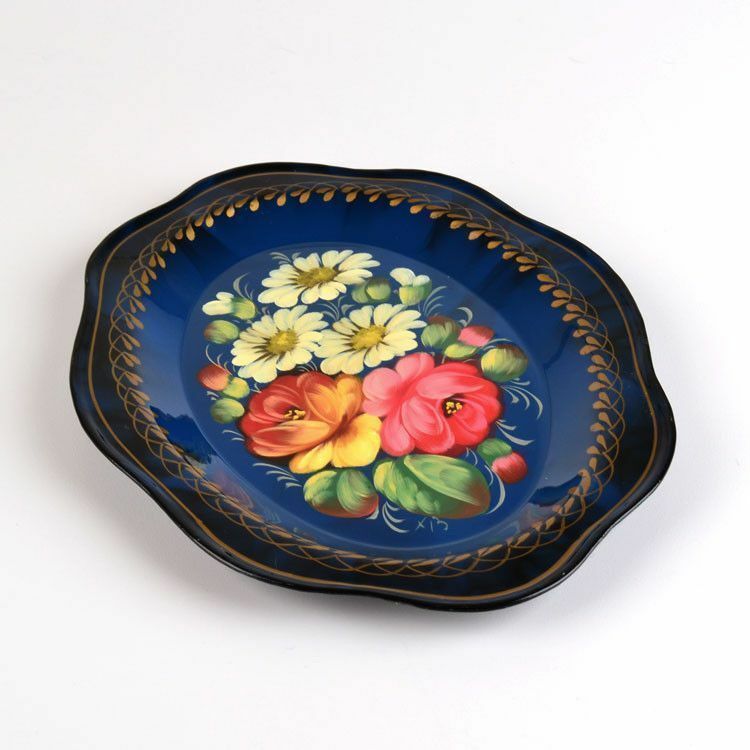 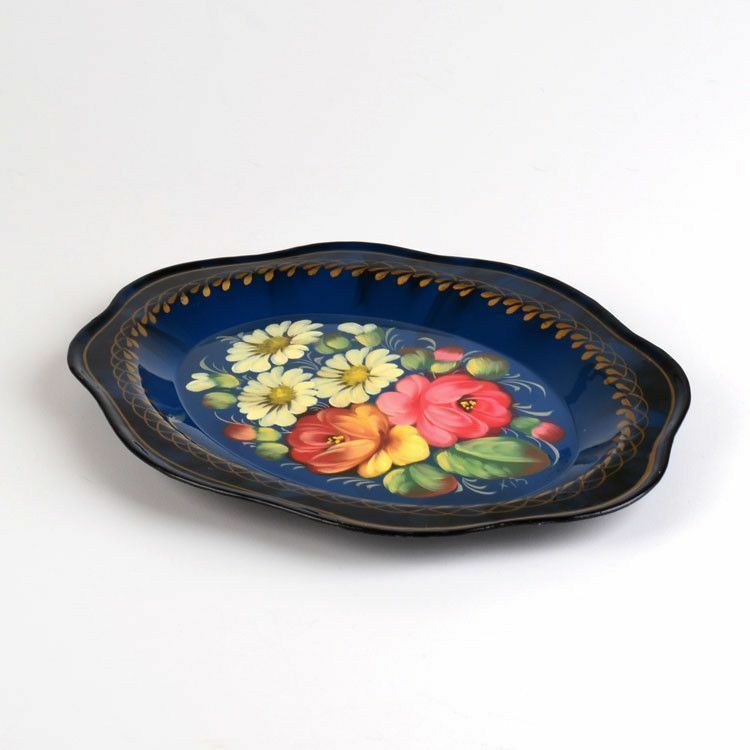 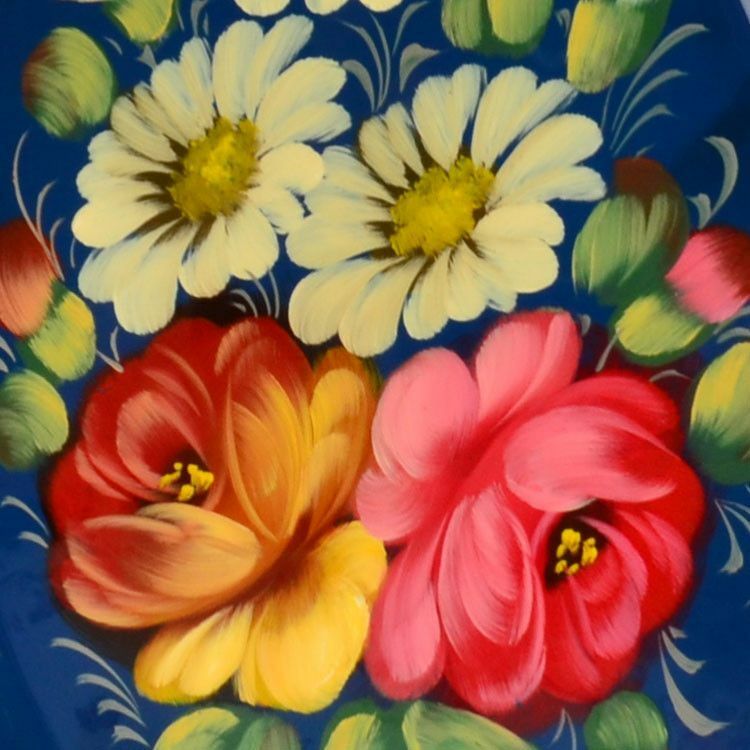 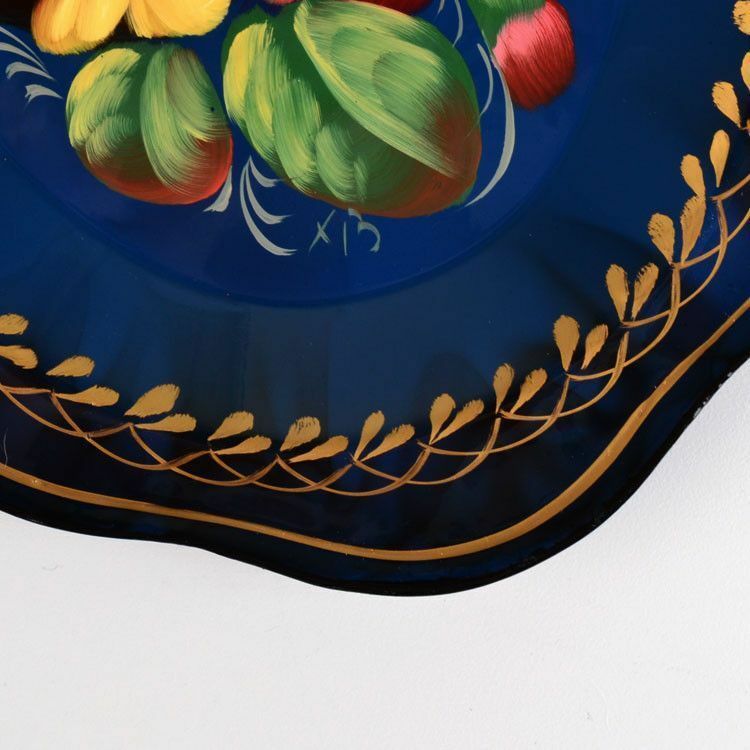 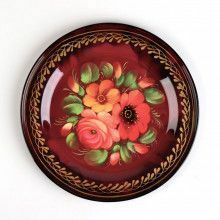 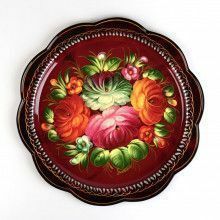 Many Zhostovo trays and platters are known for their jet black base and painted floral arrangement, but this particular small tray has an amazing indigo blue color base that morphs its way into black. 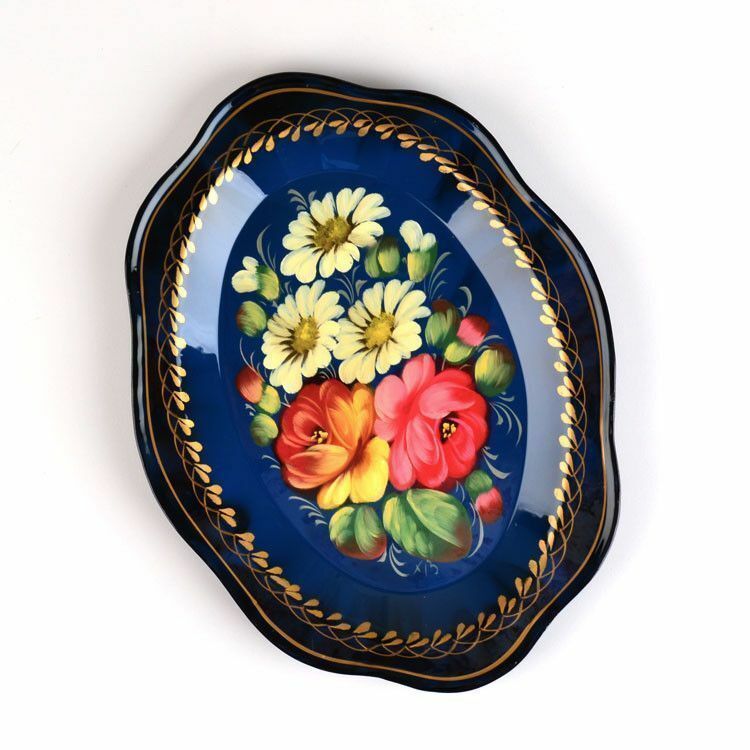 This stunning 9" x 6 3/4" tray also has a scalloped edge and a golden border called "uborka." 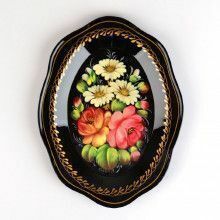 Signature by artist on front and polished lacquer finish. 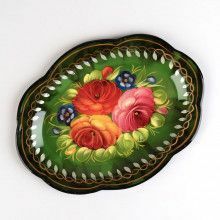 Tray measures 9" x 6 3/4"